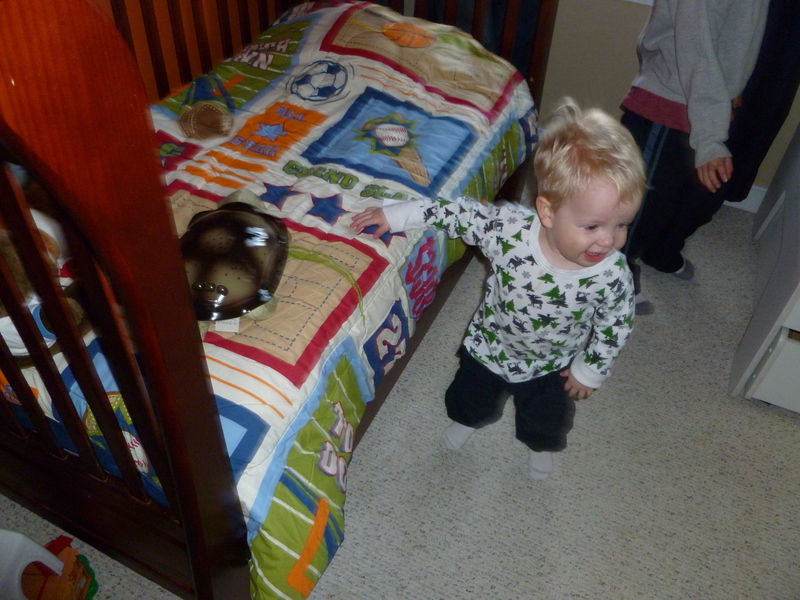 Nate sees his "big boy" room for the first time! You see, when life gets difficult, I have a tendency to phone a friend. Maybe you can relate. In and of itself, this isn’t a bad pattern. Reaching out for support in difficult times makes a lot of sense. The problem with my pattern is that I often phone a friend before I talk with God about the issue. Hard to admit, but I have realized that is my subconscious pattern. Now that I see the pattern, I’ve even been able to identify why I do this. It’s the instant gratification of an empathetic listener who responds with words I really hear. Out loud. I don’t even have to work at listening; audible words of comfort are spoken when I phone a friend. So, yesterday morning, it was time to start painting, and I was feeling a little sad. My baby is growing up, and no more babies are coming to fill this crib. I am packing up the nursery, and saying goodbye to a special season of life, the season of sweet little babies. As I instinctively reached for the phone, I felt a tug to stop and talk, instead, to God. As I prayed, engaging my heavenly Father in this dialogue, I was reminded of the joy of a healthy, growing boy, and the way God’s blessing in my life continues to grow right before my eyes. I also realized my subconscious phone a friend pattern, and the need for change. Why was it different this time? Why was I more attentive to the still, small voice in my soul? I think it all comes down to two words: Sabbath keeping. Slowing my pace each week in a purposeful way has allowed me to be more in tune with God’s voice. One more reason to keep the Sabbath – I am learning to talk more with God. This entry was posted in The Experiment and tagged phone, subconscious patterns, talking to God. Bookmark the permalink.